2016 – you wiley mistress – how you toyed with us, from Brexit to Bowie (RIP) and everything in between, last year was a roller coaster of emotion for a lot of people. 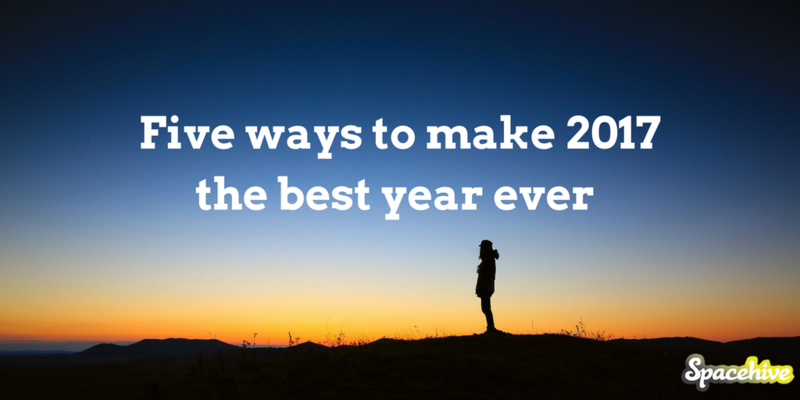 So as we look forward to 2017, we’ve put together a list of five ways to make this year the best one ever! Life is all about experiences so go discover the hidden treasures in your community and experience something new – whether its a local market, a secret garden or a new art installation. Discover the interesting projects in your area here. Offer your time and expertise by volunteering in your community. Check out the skills our projects are looking for and help where you can or sign up with our partners at Do-it and Team London for volunteering opportunities near you. Take up a new hobby (from coding and crotchet to life drawing and lacrosse) or sign up to classes and learn something new in 2017. If you want to learn about crowdfunding – then check out our handy video tutorials and guides. Since it’s been proven that crowdfunding develops your skills – from marketing and design, to project management and sales – it’s great way to work on you in 2017. Help fund change by backing a local project and bask in the glow of transforming your community with minimum effort required. Ooh yes, that feels good. Ready for a bigger challenge? Consider starting a project and improving your local area in 2017. Get inspiration from previous project creators and when you’re ready to get started, press ‘Create‘ and begin a journey you’ll never forget. Share your strategy for a great year with us on social media with #My2017 and let’s start a feel-good revolution!